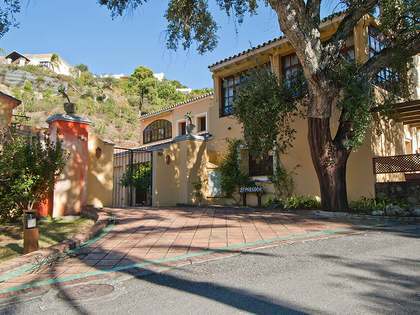 If the Costa del Sol is often described as “the California of Spain”; warm, sunny, and with the best winter climate in mainland Europe, then without doubt, La Zagaleta is “the Hollywood Hills”; stylish, elegant and only for the privileged. La Zagaleta, is perhaps not a name that is common to most people, possibly because those who live in La Zagaleta are not common people; rather, they are private, exclusive, demanding of quality and standards, and yet require discretion. La Zagaleta is a luxury country estate that covers over 2,200 acres of green hills and valleys. 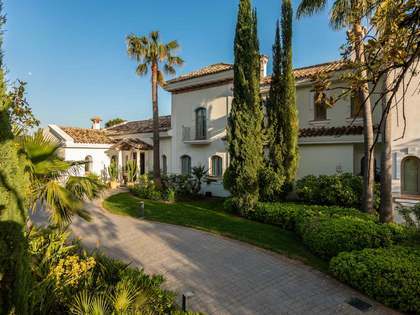 Majestically located in the Marbella hills and overlooking the Mediterranean Sea of the Costa del Sol, but only 15 minutes away from the jet-set scene of Marbella, the coast and the beaches. La Zagaleta is the outstanding vision of a Spanish entrepreneur, who in 1991 bought a former hunting estate and turned it one of Europe´s Prime Residential locations. Despite planning consent to build up to 3000 properties, he decided to develop only 420 Luxury homes, and maintain the culture and tradition of a Private Country Club. The Estate, formerly owned by one of the World´s richest men, Adnan Khashoggi, had previously seen many important guests such as the Kennedy´s, film & pop stars and many of world´s elite, so it only seemed fitting that the tradition of this exclusivity continued. In order to ensure and maintain privacy and the security of its members, the resort has 24 hour security, and the security team are highly vigilant and private over the details of the residents, particularly when it comes to Paparazzi. On entering the estate, the views take your breath away. The splendour of the nature in itself, is an outstanding feature, and it is common to see wild deer and even wild boar wandering the vast and unspoilt greenery. There is a team of gardeners that are always hard at work, manicuring the landscape and making the resort perfect for both its human and animal inhabitants. Indeed, the resort goes so far as to make sure that the latter are able to freely move around and flourish by ensuring there is always enough space between properties as well as plenty of wooded areas for them to hide. This idyllic oasis is the perfect retreat to escape from the outside world and enjoys security, peace and tranquility without intrusions. The former hunting lodge / home has now been converted into a beautiful private country club house. Filled with the memorabilia of its past as a hunting lodge, it has a TV lounge with a log fire, Restaurant, Bar, Impressive Terrace with stunning sea and golf views and even an outdoor pool and family entertainment area. There are also a range of sports facilities only and exclusively available to resident members such as two, first class golf courses, tennis courts, and a professional equestrian centre. Last but not least La Zagaleta even boasts its own private Heli-pad. The luxury of the resort is that all these facilities are essentially only for the private use of the resident members without the need to pre-book or ever queue. Whilst the facilities are important, so is another cornerstone of this elite Club, “Old–fashioned and discreet service”. The properties themselves are strategically arranged within the resort on some 50 miles of private roads, on plots that range from 3000m2 to 10,000m2. This ensures low density and therefore privacy from neighbours whilst providing residents with some of the most spectacular and beautiful views along the coast. You need only see your neighbours if you choose to! The properties range from classic Andalusian mansions with long driveways through exotic gardens, juxtaposed to some of the most stunning ultra-luxurious contemporary style villas with spectacular views and state of the art facilities including; Cinemas and Indoor Spa´s that would make most 5 star hotels envious. Quality, luxury and exclusivity are the key factors – La Zagaleta is all about enjoying privacy without interruption and this gives it the leading edge over other prime residential areas in the world. 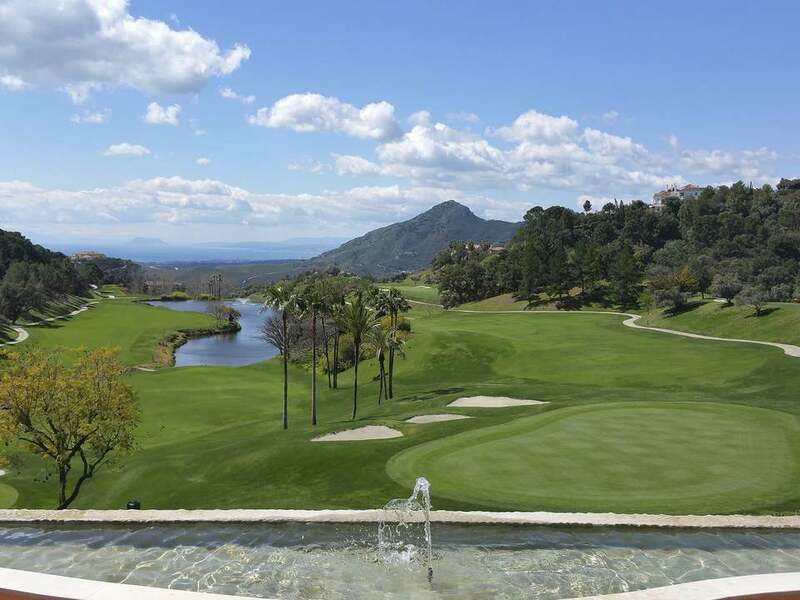 The elite that own in La Zagaleta include international; Heads of Industry, Sportsmen and Entrepreneurs with about 40% of owners living there on a permanent basis. Properties start at around 5M€ and can reach as high as 40M€, with the majority of properties ranging between 10-15M€. But the price tag, does not just buy you a home, it provides access to privacy and exclusivity in probably one of the most select clubs in Europe, and that is priceless.